To buy a theme from Theme Palace, you need to register/log into Theme Palace. If you don’t have an account, you can follow the link here to create an account. After creating an account and logging in, go to Shop. Find the theme that best suits your needs and then click on Purchase. Then click Checkout to make your payment and get your theme. 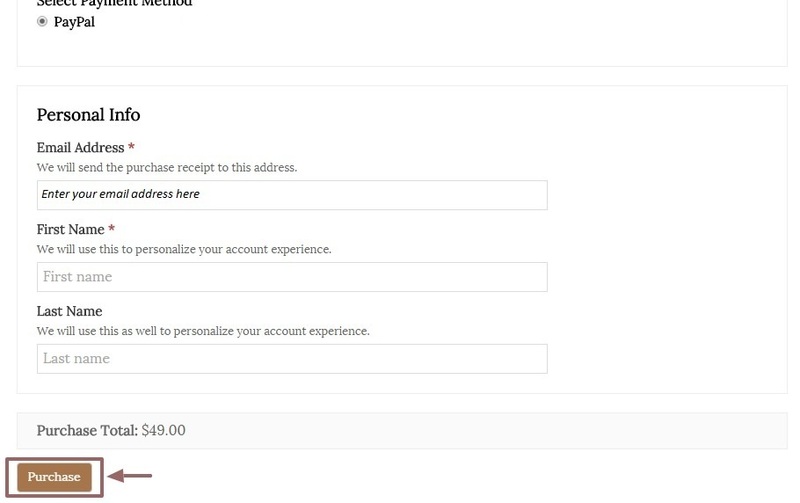 Select your payment method and fill in the form, then click We currently support payments through PayPal. You can use your credit or debit card to make a payment even if you do not have a PayPal account. You will get a ‘Thank you for your purchase’ screen where you can see the license key for your new theme. You will need this license key to receive automatic updates of your theme after you have installed it. You will also receive the license key with your purchase receipt in your e-mail address. You can download the theme from the ‘Thank You’ screen or the link provided in your purchase receipt email. You can also log into your Theme Palace My Account anytime to view your purchase details, and download your theme or its updates. My payment is showing pending over 24 hours ago. What do I do to see it through? You need to wait until PayPal process your purchasing request. So, it is up to the PayPal to complete this request through. I am trying to make a purchase with a school credit card. I inadvertantly clicked PayPal, need to click Credit Card. I have several “pending” orders, and I am receiving a message that the order is not approved the the card issuer. Please help me clear all pending orders, and try to purchase via credit card. @kaycorcor, sorry to know that you are having trouble with pending orders. As much as we would love to help you , but this is not in our control and please contact your Bank for this. They need to your verification. It’s not blocked from our side. If I need to buy a theme for our organization but use my own paypal account, can I receive a bill for organization? Yes, but in that case you need to send your Order ID from the email address that you purchased and the complete billing address of the organization. once you buy it, you will get confirmation email. You can send in that email. 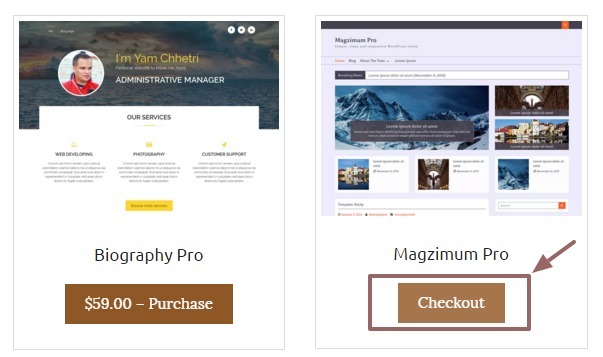 Do you have an unlimited license for use on multiple websites? Sorry, currently we do not have unlimited license for multiple website support. How do I change my payment method for next year’s renewal? I paid the first year and want to transfer the license payment to the client. @jtayman3: All our subscription is for a year and will auto expire. So, you don’t need to transfer license payment to the client. Your client can make the purchase next year.